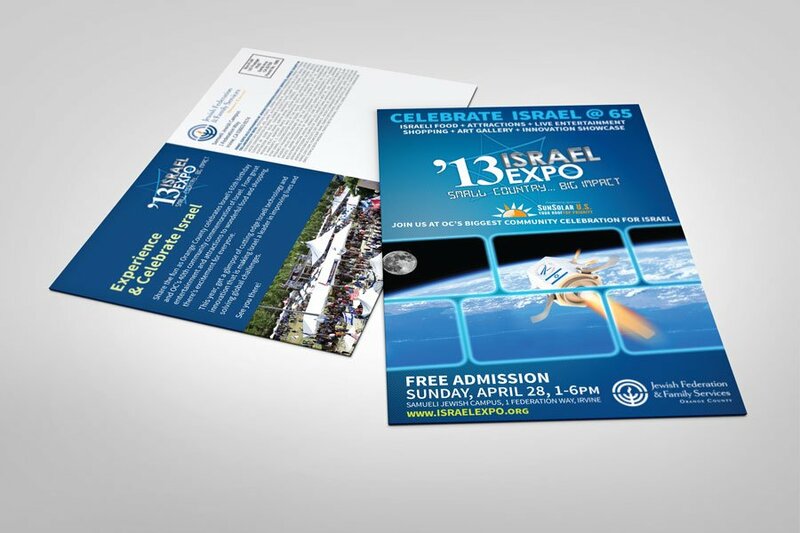 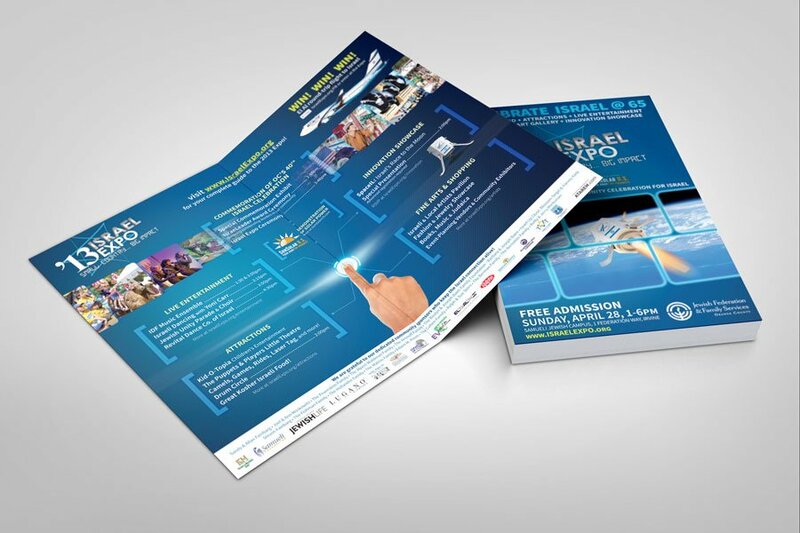 Coming to a mailbox near you, the Israel Expo 2013 mailer designed by MH Design! 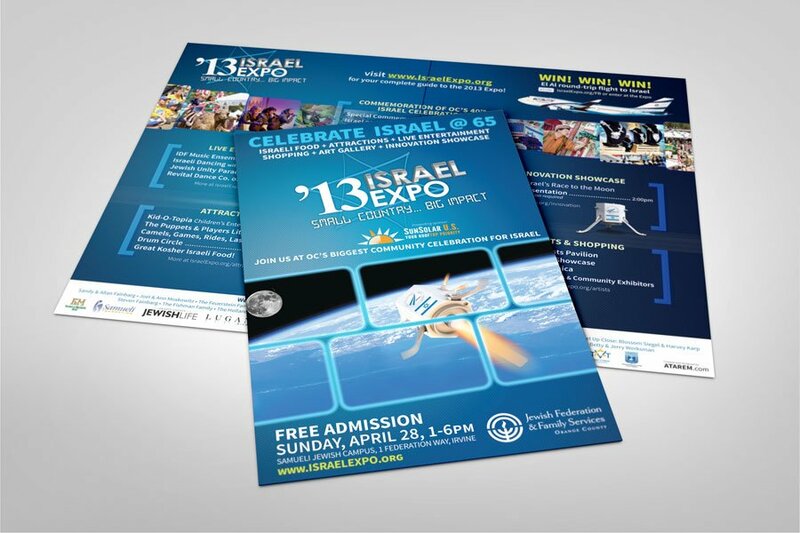 Be sure to come out and check out the Israel Expo as they celebrate Israel’s 65th birthday on Sunday, April 28 from 1-6pm. 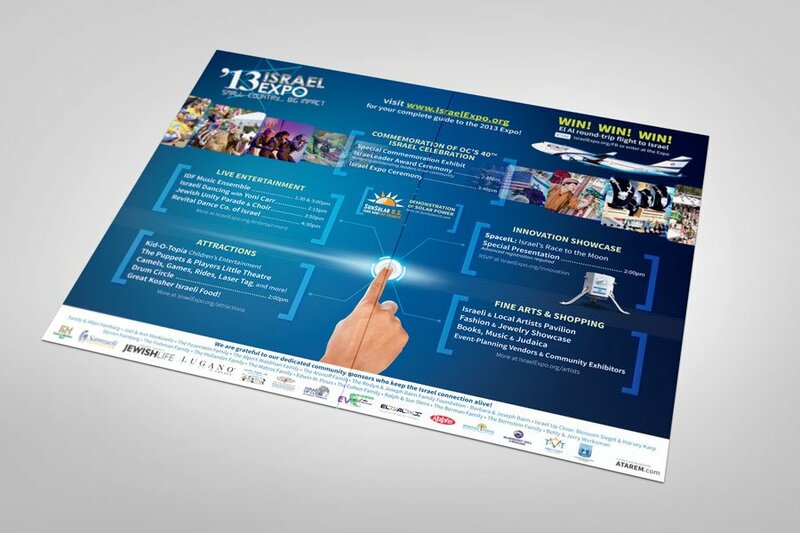 Admission is FREE and will be featuring Team SpaceIL “Israel’s race to the moon”.